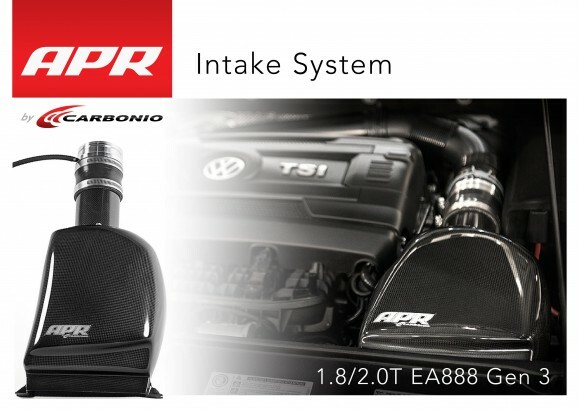 APR’s pleased to announce the APR Carbonio Intake System is now available for all new 1.8/2.0 EA888 Gen 3 engine found in the latest VW Beetle, Jetta, and Passat. With average peak gains of 12 HP and 11 ft-lbs of torque over the stock intake, this intake makes for an excellent dollar per horsepower modification. Read more on our product page. You are currently browsing the APR_UK_news blog archives for March, 2014.